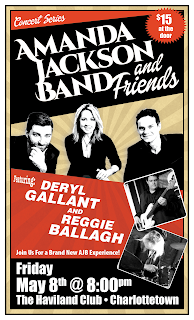 The Amanda Jackson Band & Friends Concert Series continues at The Haviland Club on Friday, May 8th with a new twist! After a sold-out first night of the series in March, we're unveiling a new formation at next month’s performance, and you will see us grow into a quintet for the night! 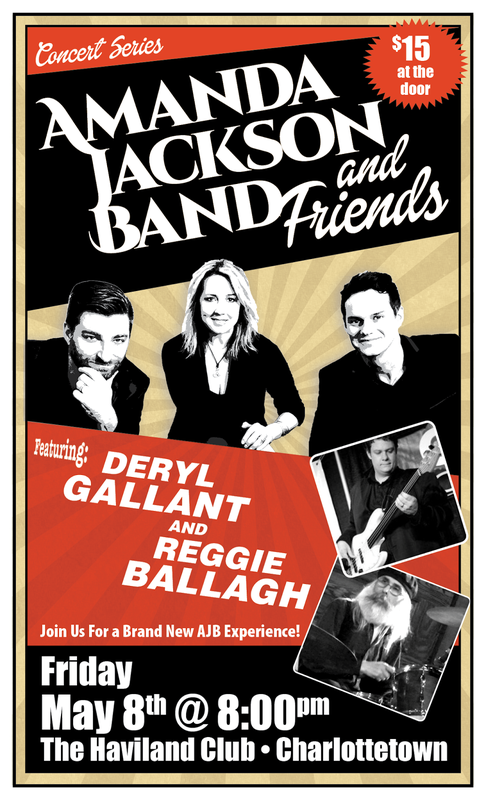 We will be welcoming to the stage, 2015 Music PEI Musician of the Year nominee, Mr. Deryl Gallant on upright bass, and PEI’s long-adored king of the sweet groove, Mr. Reg Ballagh on drums. We are so excited to be bringing in these two amazing players to the band and we can’t wait to give this fresh take on our new original material to our fans. Admission is $15, doors open at 7:30 p.m. and the show begins at 8:00 p.m. Click here to join the event!